Jeff Cote offers a three-month update and some lessons learned from his own solar panel install. In the June Tech Talk article, we talked about the installation of solar panels on my own Catalina 36. 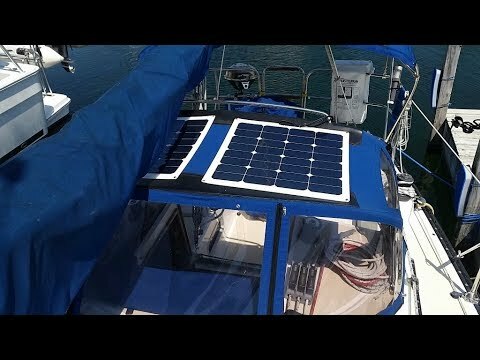 The six panels were attached to both the bimini and the dodger, giving me a total of 450 watts. I have been using them for the past three months and I am pleased to report that my optimistic predictions have been surpassed. With the sun shining, a 450-watt solar array was providing a maximum daily output of 150 AHrs. The running average daily output is about 137 AHrs. At its peak, the solar array was outputting 26.1 amps and, consistently, outputting 20 amps while the sun is high in the sky. For example, in July, the solar output would start around 06:00 at two to three amps and taper at 20:00 at two to three amps. As a reference, a stock alternator with an internal regulator, which is nominally rated at 55 amps, will provide about 30 to 35 amps of output at cruising speeds. Surprisingly, a 450-watt solar array provides two thirds of this output. The details matter. In order to maximize all of the available power generation from the solar array, every component would have to carry as much power as possible back to the batteries. 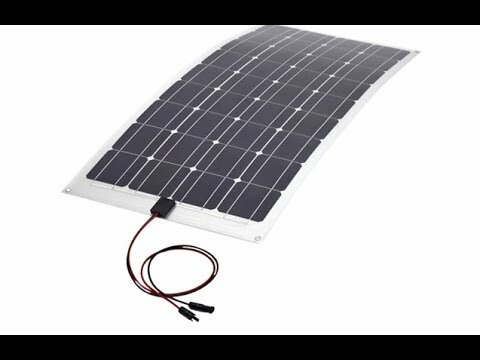 Starting with the solar panels, they must be interconnected to the wiring via waterproof MC-4 connectors. These connectors are handy because they allow the connections to be disconnected and re-connected with ease. This makes it easy to store them in the offseason. Next is the wiring, each panel should be connected via gauge 10 wire for positive and negative. The reason for choosing such a large gauge wire is to minimize the voltage drop and therefore maximize the efficiency. The average peak amperage expected from a 100-watt panel is about five amps at 12 VDC. You may be tempted to consider ampacity alone when choosing the right wire, but in a 12/24 VDC system voltage drop is normally the deciding factor. It is much better to spend a few more dollars on the right size wire and reap all the power from the solar array. 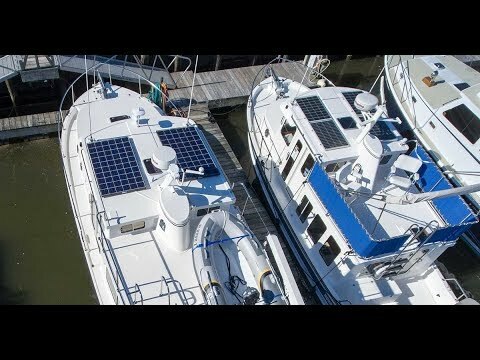 On my boat, the 10-gauge duplex cable was run from each solar panel, inside the boat and terminated on a dedicated solar controller. Again, to maximize efficiency, each solar panel was individually controlled by its own solar controller. The solar controllers were mounted in a dry place as close to the panels as possible. From there the solar controllers’ battery connections were individually fused and brought to a connection point. From this common connection point, a larger gauge wire carried all of the solar panels’ amperage to the batteries. To practically negate all voltage drop, a gauge four wire was run from the aft of the boat all the way to the batteries, which are located at mid-ship. The total run from interconnection point to batteries was about 20 feet. In order to appreciate the output of the solar array, we installed a monitoring device to measure not only the output current of the array at any time but also the daily AHr production. Even though many boats are equipped with a battery monitor, a battery monitor only provides you with the net effect at the batteries. This net effect, is the difference between the charge going into the battery (e.g. 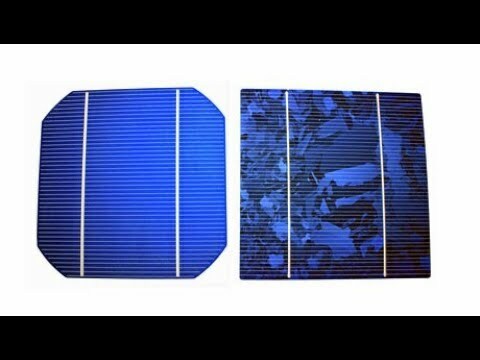 alternator, battery charger, solar array, etc.) and the draw going out of the battery (lights, inverter, waterpump, fans, stereo, and so on). Another surprise was the output of the solar panels on an overcast day. Depending on the thickness of the clouds, the average daily output was about one-third of the sunny days and averaged about 45 AHrs of output per day. That is almost enough to run a small fridge indefinitely. From my own installation, I have learned that you must use components that will carry as much power as they can back to the batteries. 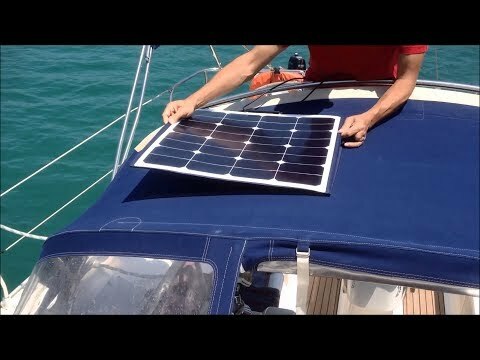 Also, when you are sizing a solar panel system for your boat, it is good idea to consider having more output than you need on sunny days to offset the cloudy days. 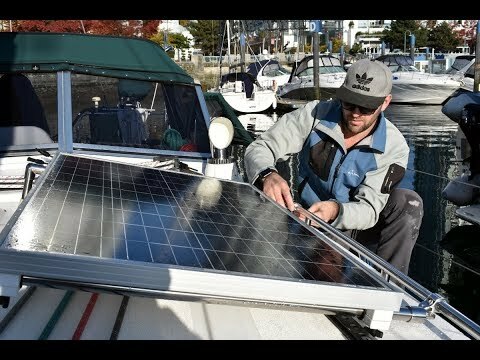 Solar is such a great solution for boating in our West Coast waters. If you are a power-boater, solar will reduce the time you have to run your genset. 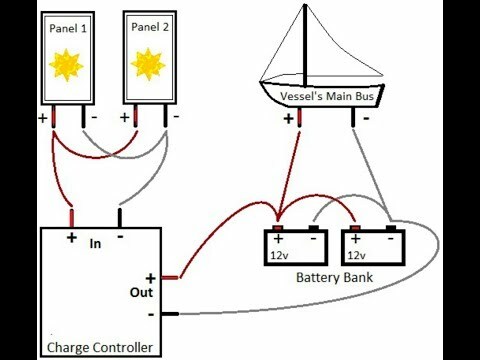 For sailors, solar will allow you to just sail with no need to motor to your next destination in order to recharge your batteries.